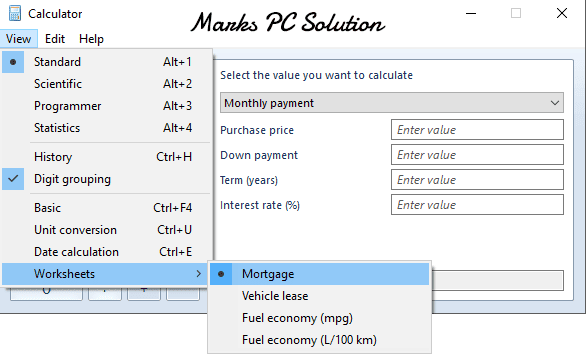 Get Back your Old Calculator in Windows 10 !! Well this is not a new issue. Very often Windows kills its beautiful tools or applications when upgrade to a new version. 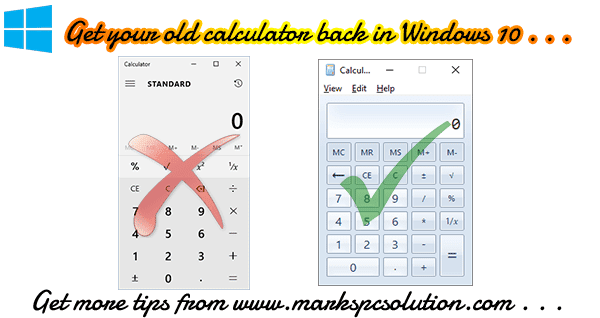 As you've already experienced what happened with Windows Photo Viewer, the same thing is done to the Calculator which was available on Windows 7 and 8. But tech lovers know very well that there is always a way. I've found an .exe file of Old Calculator from Winaero. If you download and install this file, you can get your old calculator back in latest version of Windows! Why do you need your old calculator back? The new touch interface enabled calculator is not bad at all. To be honest it looks really cool. But an important feature is missing in this program i.e. Worksheets. Besides if you're in love with classic interface then you can install this program on your PC. Without the Worksheets option, the new calculator has almost all features. 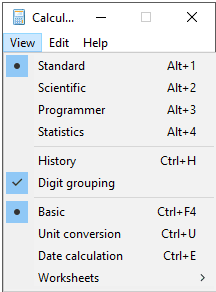 If you don't need the Worksheets option, then I would like to recommend you not to install the old calculator. Your default calculator may not function once you've installed the old calculator. Even if you uninstall this, the default calculator may not run. This is what happened to me after I've tried the old one! Download > Install > Run . . .
Download the file named Windows 7 Calculator.exe from the above link. It's less than 1 MB. Choose your language i.e. English. Hit on the install button. Within few seconds you've to press the finish button. Now it's ready to use. Now get your app from start menu or simply type calc on the run (Start+R) dialogue box. That's it. What if this old calculator cause malfunction to your new one? Apps > Apps & Features. Scroll down and find Calculator. Tap on Calculator and choose Advanced Options. Hit on the Reset button and hopefully you will get this back! The publisher of this application is neither Microsoft nor Windows. This application is available for download from Winaero. And maybe they are the original developer of this look alike application. Hope this will help you lot. Stay connected for more breaking tips . . .
Smartphone Charging Tips . . .
Customize the List of Recently Used Files . . .